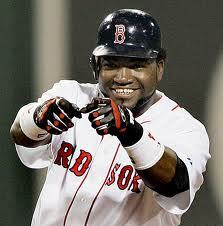 Red Sox, David Ortiz has another injury. This time it is the bony area of his heel,not his Achilles tendon. Apparently, Ortiz has been training a little too hard. So at 26 million, he is out again. Heel pain is the most common injury that I see in my practice, says Dr. Marc Katz, a Tampa podiatrist. The injury can be severe and debilitating and usually involves the band on the foot known as the plantar fascia. It’s interesting that the problem is always called a bone problem when in fact the problem is inflammation of the soft tissue that attaches to the heel bone, says Katz. Typical treatment for heel pain is ice, stretching, physical therapy and anti-inflammatory medicine. However, a star athlete can hardly afford days off at the beginning of the season. The alignment of the foot is often overlooked as a method of avoiding heel pain for the long-term. This can be accomplished with a custom insert orthotic device made by a podiatrist. Also, an excellent treatment choice is prolotherapy. This is a natural for of “Regenerative Medicine” that allows your body to kick in and start healing you. Prolotherapy repairs the ligaments, tendons and joints without surgery or steroids. Do you think David Ortiz has orthotics? So many people do not understand that heel pain can even knock you out of your regular walking routine or your weight loss exercise routine. Friends and relatives do not understand that the condition really limits your activities whether you are a casual walker or a professional athlete like David Ortiz. If you have heel pain, you need to get it treated quickly to avoid being out of your activities even if you don’t have a $26 million contract! At Advanced Podiatry, we have same day custom orthotics for athletes and those doing everyday activities. We can also discuss prolotherapy as an option. We can get you back to your activities quickly but you must call today to see the doctors at Advanced Podiatry.